Bottling companies are hitting back at what it they call "unfair targeting of individual industries", as Labour gears up to announce it'll charge a levy to water bottling companies. Newshub has learned Jacinda Ardern will announce her first major environmental policy on Wednesday, which will include a levy on water bottlers. NZ Quality Water plant manager Bruce Sherman and Aquasplash CEO Mark Manson says they accept a charge is inevitable. "I think water bottling in New Zealand has really become a lightning rod for a larger public discussion around water and natural resources and the state of our country," Mr Sherman says. He says the only way to change behaviour in New Zealand around water consumption is to charge for it. And if Labour gets to power - there will be a charge. Ms Ardern dropped a hint about a water announcement last week. "Clean rivers are very important to us; water is obviously, as a nation, very important to us." Labour is the latest party to support a bottled water levy; the Greens and New Zealand first also support it, but National is opposed. But Mr Manson says water bottlers shouldn't be singled out. "We see it as it has to be fair and equitable across all commercial users of water." New Zealand-owned AquaSplash has a supply agreement with the South Waikato District Council to take 200,000 litres per day until 2048. Coca-Cola Amatil has an agreement to take 200,000 litres per day until 2044. Chinese-owned NZ Quality Water has an agreement to take up to 400,000 litres per day until 2048. A new company, NZ Pure Blue Springs Ltd, is currently applying for consent to take 6.9 million litres a day until 2034. In a town with an unemployment rate higher than the national average, the bottlers are welcomed by the mayor. "We've been looking for an industry for Putaruru for a long time, so we are quite excited about it," South Waikato Mayor Jenny Shattock says. AquaSplash employee Mere Kalan has five kids and moved to Putaruru from Auckland. She says she knows where she'd be if the bottling plant closed down - "probably at the WINZ, lining up for the dole". The companies pay the council roughly $50,000 a year to use its infrastructure at Blue Spring. About 60 million litres of water comes out of the ground at Blue Spring each day, and the three bottling companies' daily take is well less than 1 percent of that. "We see water as being an easy target for the politicians, but also there's been a lot of hype over the amount of water that's been consented," Mr Manson says. On Monday the New Zealand Beverage Council released a report aimed at "bringing balance to the debate", saying unfair targeting of the bottling industry with punitive tariffs will prevent it from creating long-term employment in regional New Zealand. Environment Minister Nick Smith says the focus must be on the sustainability of the water resource. 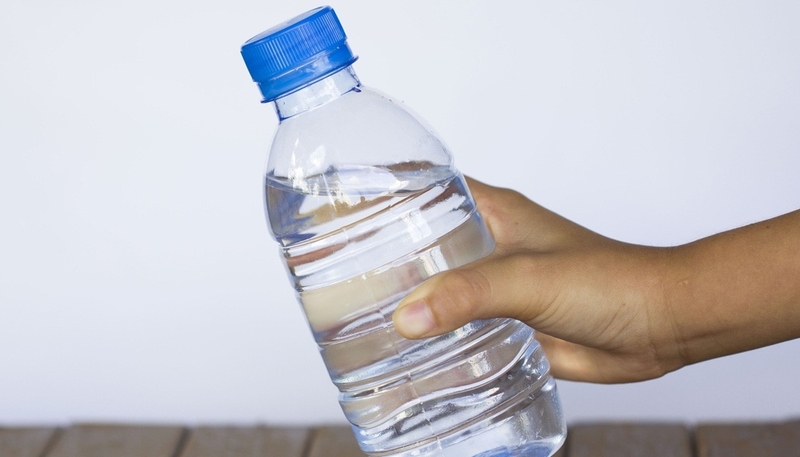 "The water bottling industry cannot be treated in isolation."